THIS COMPANY IS CURRENTLY NOT OPERATING. THIS INFORMATION IS STILL HERE IN CASE IT IS SOLD AND COMES BACK TO LIFE. 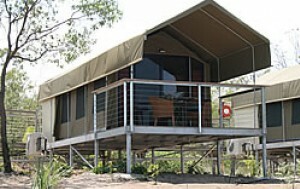 Escape Sportfishing and Wilderness Lodge is located on Groote Eylandt in the Northern Territory in a spectacular remote location with amazing recreational fishing and accommodation facilities. Escape Sportfishing and Wilderness Lodge delivers tremendous service, professional guides, quality boats, terrific meals, and waterfront accommodation in a magnificent and remote coastal Australian location. 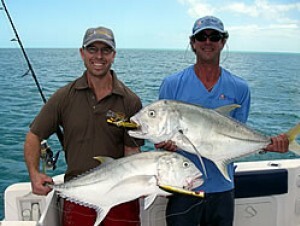 The Escape Sportfishing Lodge experience is the ultimate adventure for recreational anglers including corporate groups. For enquiries about Escape Sportfishing and Wilderness Lodge use the “Contact Us” button above and your enquiry will go directly to the Escape Sportfishing Lodge managers. A fishing charter or corporate event like this is a once in a lifetime experience and for that reason we have paid special attention to providing you with comprehensive information on Escape Sportfishing and Wilderness Lodge. Groote Eylandt is the largest island in the Gulf of Carpentaria and is located 630km from Darwin by air. 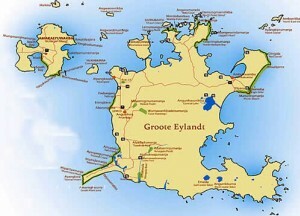 Groote Eylandt belongs to the Anindilyakwa people and is part of the Arnhem Land Aboriginal Reserve. In terms of size, the island is about 50km east to west, and 60km from north to south covering a total land area of 2,687 square kilometres. Groote Eylandt is one of the most remote and spectacular coastal locations in Northern Australia and is home to an enormous variety of fish species. With the entire operation owned by sporting legend Andrew Ettinghausen who is the Australian former rugby league footballer of the 1980s, 1990s and early 2000s. Escape Sportfshing and Wilderness Lodge is managed by Will and Natasha who joined the operation in March 2010. Will and Natasha bring with them a wide variety of experience from their backgrounds in the marine and consulting industries. Will and Natasha have worked in the dive industry in Cairns. With vast marine experience, Will recently captained vehicle ferries in Moreton Bay while Natasha worked for an engineering consulting company in Brisbane. Both Will and Natasha are keen to ensure that every guest attending the lodge has a fantastic holiday and a most memorable fishing experience. Air North and Vincent Aviation fly from Darwin to Groote Eylandt daily with morning and evening flights available to suit guests needs. Private charters can easily be arranged upon request. The waters surrounding Groote Eylandt provide world-class fishing in diverse and contrasting habitats including tidal coastal creeks, mangrove-lined estuaries, and kilometres of coastline, islands and virtually unchartered waters. 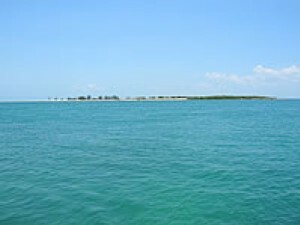 These waters are home to dozens of different species including the prized Barramundi, Sailfish, Marlin, Black Jewfish, Queenfish, Giant Trevally, Mangrove Jack, Red Emperor, Cobia, Coral Trout, Longtail Tuna, Threadfin Salmon, and Golden Snapper. These species are routinely caught in the waters surrounding Groote Eylandt. Escape Sportfishing and Wilderness Lodge recognise that many recreational anglers prefer to bring and use their own fishing equipment. 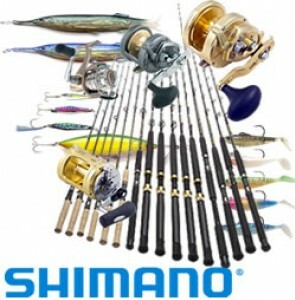 For those who do not wish to bring their own equipment, quality Shimano fishing tackle will be provided on a replace if lost or damaged basis. 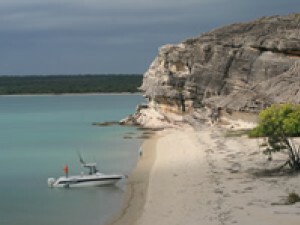 This equipment has been selected to specifically cater for all types of fishing at Groote Eylandt. Limited fly tackle equipment is available, however for keen fly anglers it is recommended that you consider bringing your own fly fishing equipment. The fishing equipment and tackle provided at Escape Sportfishing and Wilderness Lodge is carefully selected and the range includes over 120 Shimano rods and reels ready for action. 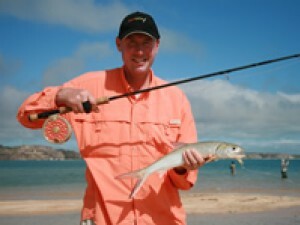 Small overhead outfits can be used to cast lures for Barramundi in the morning with other equipment rigged for casting at Tuna schools and jigging for Mackerel for lunch. In the afternoon you can change to robust tackle to fish the reef for Coral Trout, Red Emperor and Golden Snapper before again switching to light tackle game gear to battle Sailfish and Black Marlin to end the day. One of the key advantages of Escape Sportfishing and Wilderness Lodge is the ability of the fishing guides to cater for the widest variety of fishing to target the huge variety of fish. The vast variety of species available in the waters off Groote Eylandt call for a wide variety of lures. The collection of quality tackle provided to guests by the lodge includes lures from a selection of Australian manufacturers such as Basser Millyard Classics and Bombers, Halco Lazer Pro’s and Roosta Poppers, Gillies Jigs, Raider and Spaniard’s and of course Reidy’s B52’s. Also in the collection are Hollow Point Lures and assorted tackle from leading brands such as Black Pete, Berkley, Schnider, Gamakatsu, and Plano. If you opt to bring your own collection of lures, it is recommended that you give some thought to the exact species of fish you would like to chase. 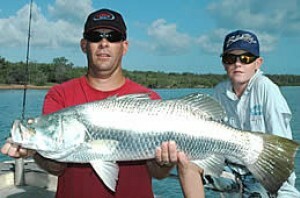 Our recommended tackle box would include a selection of ‘silver slice’ type lures such as Halco Lazer Pro’s, reliable shallow diving Barramundi and pelagic lures such as Reidy’s B52’s and Gold Bombers, and a selection of Halco, Classic Barra and other well known Barramundi lures which will double up as great lures for Mackerel, Coral Trout and Mangrove Jacks. 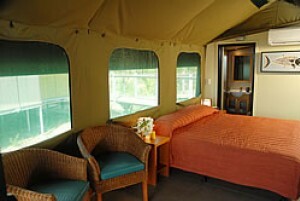 The facilities at Escape Sportfishing and Wilderness Lodge have been designed to entertain corporate groups of up to 24 guests with 12 double air-conditioned rooms, all fitted out with ensuites. All rooms at the lodge have water views and are raised off the ground to allow the native flora and fauna to remain in its natural state. The accommodation takes in views across the water to nearby Connection Island and is home to spectacular sunsets in a remote wilderness. For corporate groups comprising over 16 persons, the lodge will provide exclusive use. In addition to world class fishing, a visit to Escape Sportfishing and Wilderness Lodge provides the opportunity to sample a range of fresh seafood each night before heading across to the Resort’s Seagrass restaurant for dinner. Breakfast is also a high standard dining affair with a full hot buffet available each morning before departure. The lodge can also devise special menus for corporate groups. 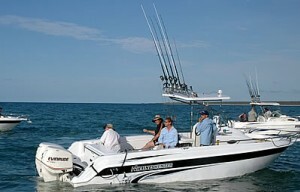 One of the keys to any successful fishing experience is reliable fishing vessels. Escape Sportfishing and Wilderness Lodge operates 3 sport fishing vessels, all 8.3 meters and powered by twin 225 hp Evinrude outboard motors. All vessels are equipped with all of the necessary marine electronics including Lowrance GPS, Plotter and Sounder as well as Radar. Each vessel operates UHF and global HF radios with Satellite phones and all safety gear to ensure that everyone has a safe day on the water. The fishing guides at Escape Sportfishing and Wilderness Lodge operate 4 anglers per boat without difficulty. Each of the vessels, all of which are surveyed, are a full walk around design with centre cabin, toilet, and have been custom designed specifically for use in the waters around Groote Eylandt. Groote Eylandt is the third largest island in Australia making the fishing opportunities during a stay at the lodge endless. However, there are also a number of other exciting activities available including Aboriginal Cultural Tours and a quality 9 hole Golf Course with golf carts and clubs all located next door to the lodge. Activities at the lodge can be easily divided between half day fishing trips with an afternoon of golf or an Aboriginal Cultural Tour. 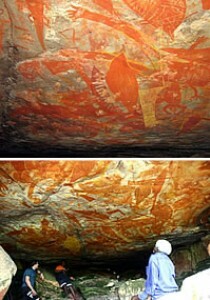 Tours include Shallow Water Hunting, Bush Tucker or viewing the amazing Rock Art sites. There is a large Cultural Centre based on the lodge grounds with gifted local artists creating new paintings, crafts and carvings each day. Friendly fishing competitions can also be set up for corporate or other groups, as can our well known ‘Golf Biathlon’ where individuals and groups set out to catch certain sized fish on Day 1 to give them a better handicap for the golf event on Day 2. A swim in the resort pool with a refreshment in hand makes for the perfect end to a day on Groote Eylandt whether you have been out fishing, playing golf, or simply relaxing and enjoying the coastal life. 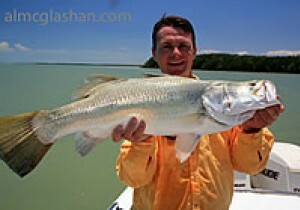 Escape Sportfishing and Wilderness Lodge can cater for all sized groups and longer stays. The aim of staff at the lodge is to make your stay a fishing, adventure and relaxing experience that you will remember for a lifetime. 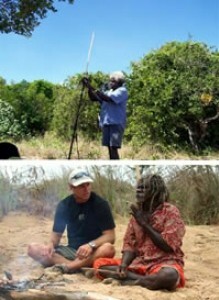 Escape Sportfishing and Wilderness Lodge is located on Groote Eylandt in the Northern Territory and is operating with the support and blessing of the Anindilyakwa Land Council and local traditional land owners. The Escape Sportfishing and Wilderness Lodge can easily cater for up to 24 guests and can be secured for a private corporate or group event with over 16 confirmed bookings. The lodge is professionally managed by two well experienced tourism managers, and is staffed with the highest standard of professional fishing guides and equipped with the very best of equipment.